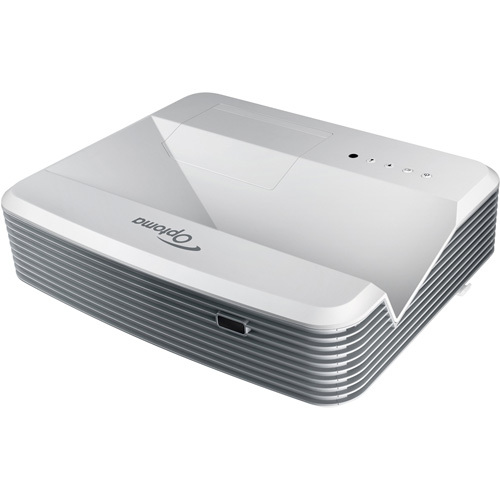 Optoma's 1080p ultra short throw interactive projector, the EH319USTi, is perfect for businesses, schools and colleges. It is bright (3500 lumens) and uses a new generation of TouchBeam finger-touch interactive technology, enabling several people to work simultaneously on the screen without using a pen. The throw ratio of 0.25:1 means that it can project a 100" image from just 55cm away. And having the projector installed so close to the screen avoids any shadows being cast across the screen from the presenter(s).